60-Piece Magnetic Building Tiles Just $39.99! Down From $100! PLUS FREE Shipping! 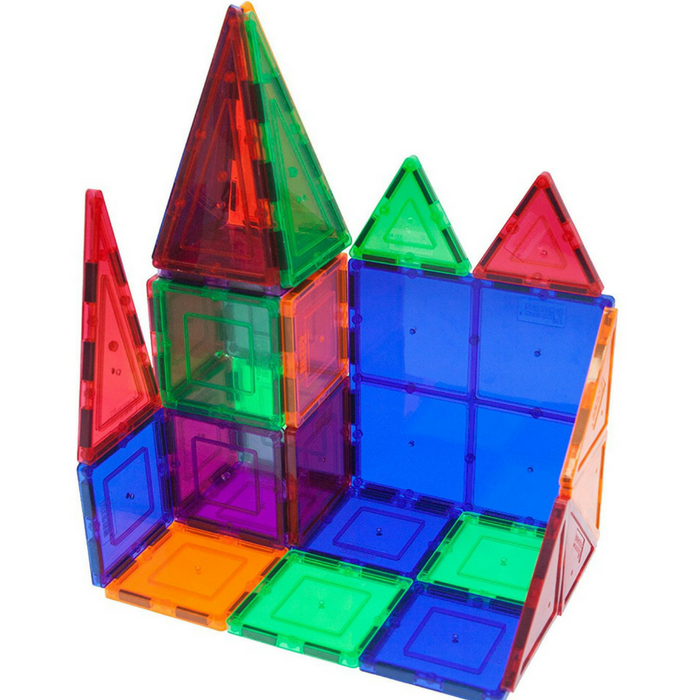 You are here: Home / Great Deals / Amazon Deals / 60-Piece Magnetic Building Tiles Just $39.99! Down From $100! PLUS FREE Shipping! The #1 Best Selling 60-Piece Magnetic Building Tiles is now on sale at Amazon for only $39.99 down from $99.99 PLUS FREE shipping! Creativity beyond Imagination! Fun and entertaining, perfect educational presents for school age children that will never go out of style. It’s entertaining for single or multiple parties, great for parent-to-child bonding with hours of fun quality time. Easy to construct and easy to put away for storage. It’s never too early to start developing kids creativity at a young age, Picasso Tiles inspire youngsters learning by playing, children will acquire a strong sense of colors, geometrical shapes including 3D forms, number counts, magnetic polars, as well as the creativity which is the key factor to success in today’s ever changing environment.